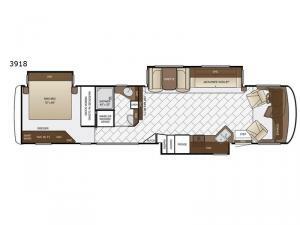 A new adventure awaits you with this triple slide out 3918 Canyon Star class A motor home by Newmar. 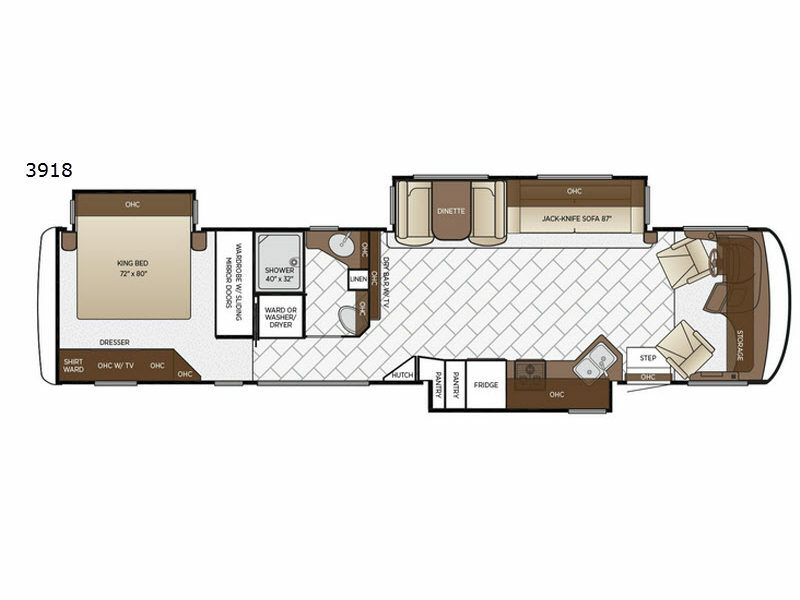 You will find that there are plenty of interior features throughout, and more! In the fully functional kitchen you can prepare your favorite meals for your family. Here you will find a three burner range, two pantries, and a refrigerator. Within the roadside slide out there is an 87" jack knife sofa plus a dinette where you can sit and enjoy your morning coffee or play an extra card game at night. The large bathroom has a 40" x 32" shower plus the wardrobe has been prepped for a washer and dryer. At night come retreat to the rear bedroom where you can get a good night's rest on the king bed!